In The Art of Being Human, we glimpse unconditional goodness as the ground of our existence. Opening to ourselves with gentleness and appreciation, we begin to see our potential as genuine and compassionate human beings. 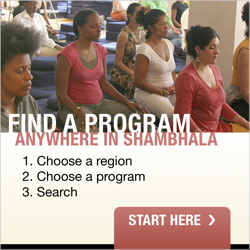 The program includes meditation instruction, talks, periods of meditation practice, and discussion. There is no prerequisite. Everyone welcome.